Crowd pleaser! 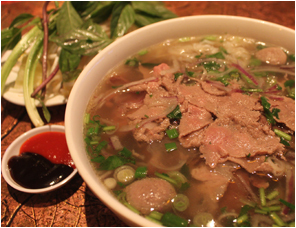 Warm and flavourful broth with noodles, beef balls and thinly sliced lean beef topped with onions and cilantro. Also accompanied by fresh beansprouts, chili peppers, basil and lime wedge. Hoisin and Siracha sauce are delicious for dipping! 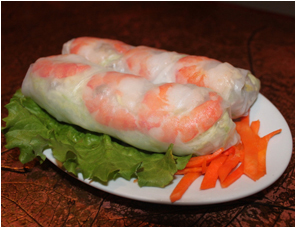 Shrimp and thin slices of pork wrapped with fresh lettuce and beansprouts, served with a Hoisin based sauce. 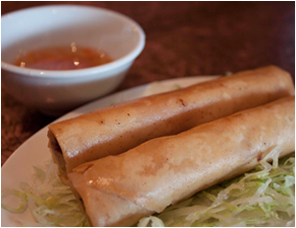 Crispy deep fried spring rolls with a shrimp, pork and vegetable filling. 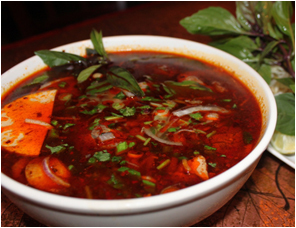 A traditional seafood based Vietnamese noodle soup. 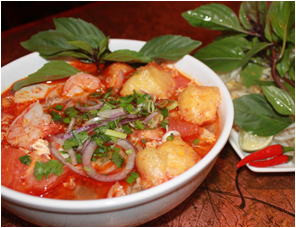 Another Vietnamese specialty with a dash of our spicy homemade satay chili sauce. 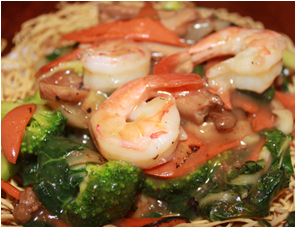 A combination of beef, chicken and shrimp stir fried with bok choy, broccoli, red bell peppers, onions, carrots and celery on a bed of crispy deep fried egg noodles. Also available with soft stir fried noodles. 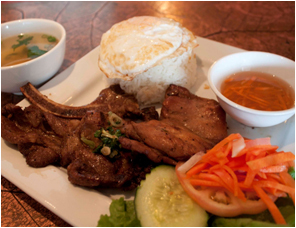 Grilled pork, spring roll and minced shrimp on sugar cane with vermicelli noodles. 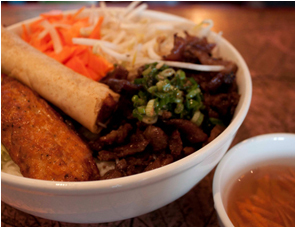 Vegetables included are bean sprouts, lettuce and carrots.